Today was the third day in a row in which we were blessed with temperatures close to the seventies. The warm weather also brought with it the turbulent weather of spring. Last night our first storm chased us into the storm shelter twice. Our place weathered the hail and rain admirably, though. Even the horses emerged unscathed. This week end the clock returns to daylight savings time, extending the day long into the evening hours. The product of reduced sleep is willingly exchanged for the promise of warmer weather and long awaited forays into the garden. With equal anticipation I await the afternoons of mowing grass, lots of grass, under the heat of the southern sun. A few weeks ago, shortly before the last great snow fall, I wandered into the garden space where I had planted my garlic. 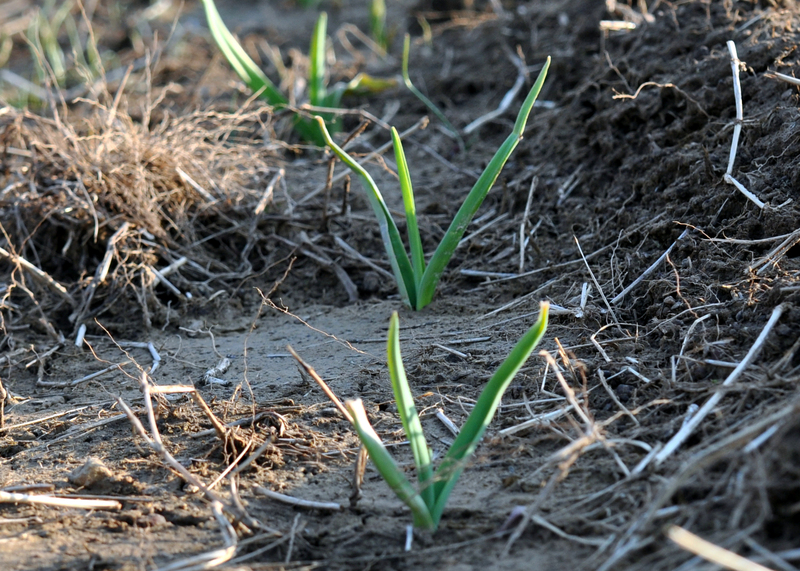 The deal with garlic is that is should be planted in late fall and then covered with hay to shield it from the cold. Well… I was lazy this fall and waited until ten days before the first hard freeze in November before it went into the ground. With each clove, as I inserted it into the freshly turned soil and covered it generously, all I could think about was the cold would penetrate the thin layer of dirt and kill each budding seedling clump rendering it useless and, worst of all, dead. I plugged on though with a hope and a prayer. 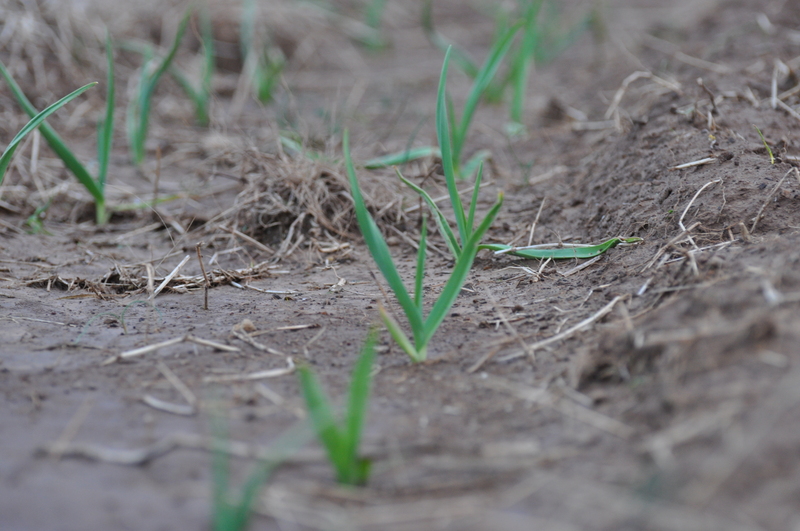 Within the next week a hard freeze blanketed the center part of Arkansas and I knew in my soul my garlic would not survive the winter. When the first semi-warm day presented itself, I ventured to the barren patch of garden. This is what greeted me. Before my eyes, standing erect, protruding from the solid soil and basking in the meager sun, were these heartwarming blades of garlic, a testament to the growth beneath the surface. They are still there today awaiting the warmth of spring to launch into full growth. I take heart that winter is past and the promise of spring looms sure and confident within its appropriate cycle. My piece of heaven today. Not so long ago I was nursing a bad back after shoveling 2′ of snow. Today I’m celebrating the start of spring at the beach. I feel rejuvenated. This is the best time of year. It certainly is Gale. I have taken tons of pictures today of trees in bloom.